“Art runs deep in my family. I was exposed to Art at an early age as my Mother was an Artist/Teacher with a degree in both Art and English. I remember painting with my brother on the back of a boat, working in clay in the backyard and helping my Mom while she was taking a sculpture class. My Dad was a science teacher then a field service engineer. He also painted a little and did mosaic in the backyard. I just loved clay and spent all my time in High School and College with clay as my primary media. 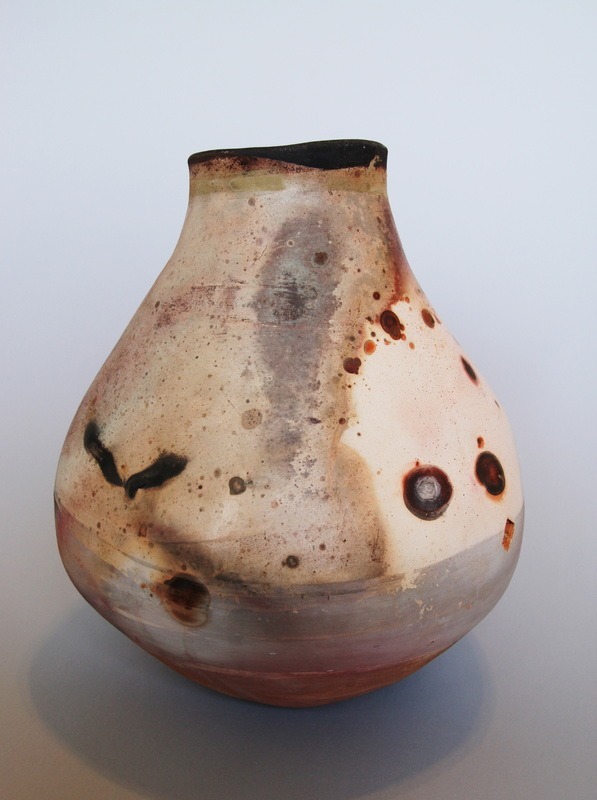 Thus, I became a potter, working in clay for over forty years. Ceramics continues to fascinate me, as I love the earthiness and I am always trying new things. Most recently I have been exploring clay slips on the surfaces of my work and building larger forms. Most of my pieces are hand built and fired multiple times to create the colorful surfaces. 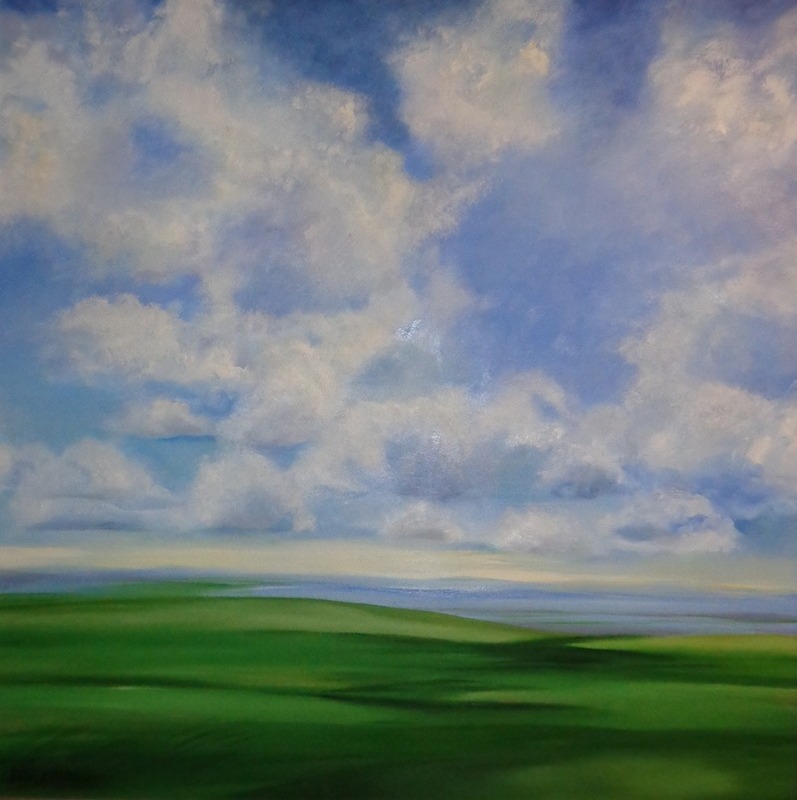 Dale’s work can be seen at The Gallery at Pioneer Bluffs near Matfield Green, Kansas and her home Studio-Gallery, Buckeye Creek Art Studio. 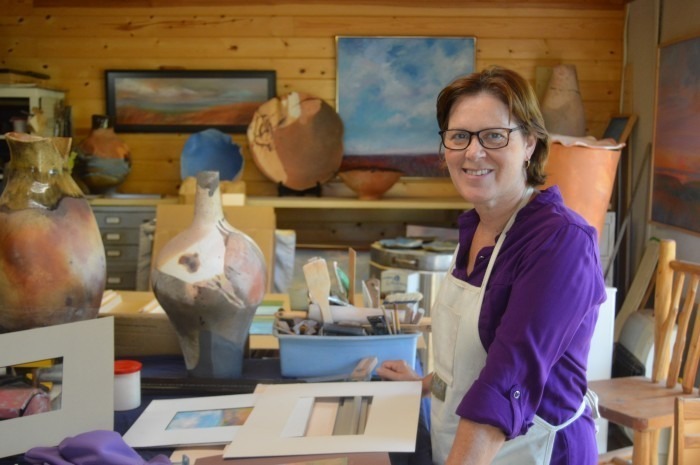 Fifty-two of her clay vessels, tiles and paintings were recently featured from April 11-June 7th at The Albrecht-Kemper Museum of Art in St. Joseph, Missouri. 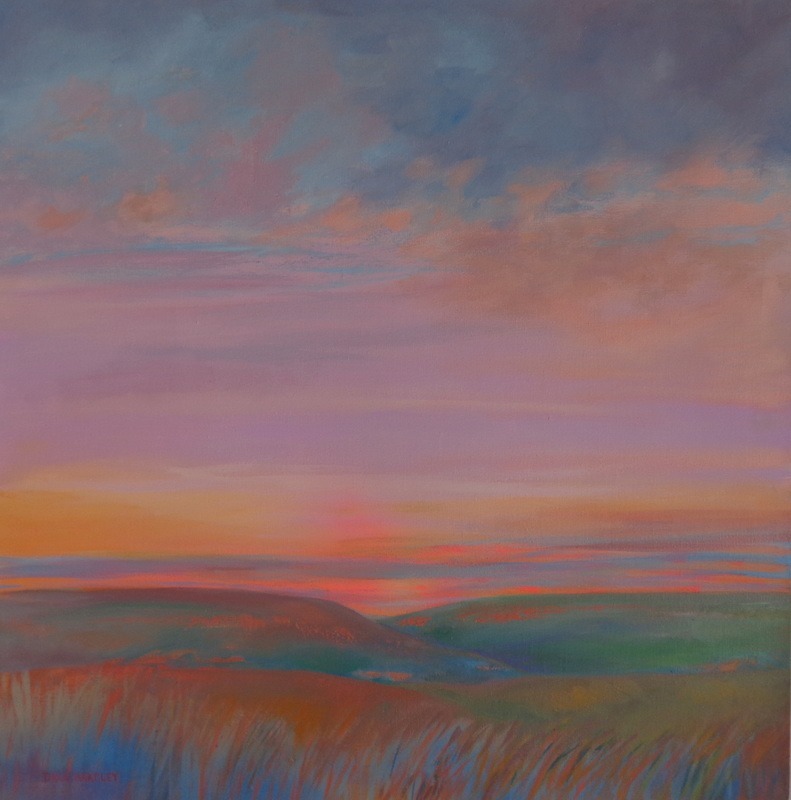 Her work has been exhibited nationally and internationally. 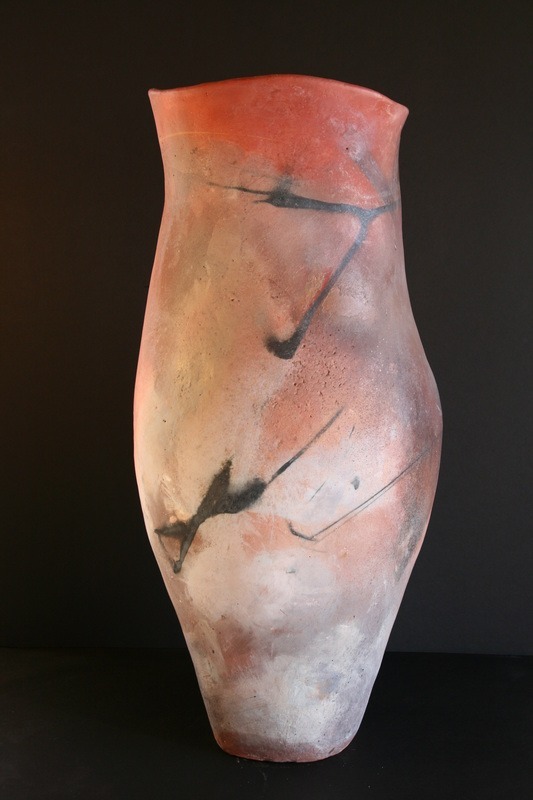 Images of her work have appeared in American Craft, Ceramics Monthly and Clay Times magazines.